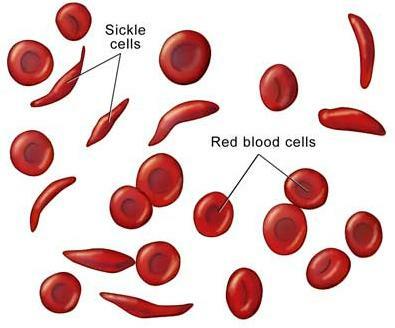 Sickle cell disease (SCD) is a genetic disorder that is characterised by a chronic anaemia occurring almost exclusively in individuals of African descent. Individuals afflicted with SCD are homozygous for a key mutation in haemoglobin, whereas individuals who are heterozygous for this mutation are generally asymptomatic and are said to have sickle cell trait. 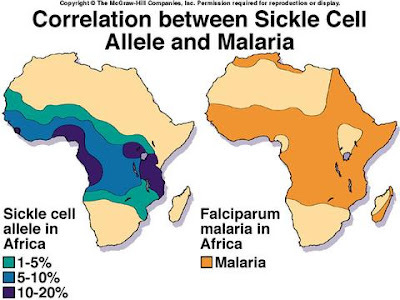 But, fortunately, individuals carrying just one copy of the sickle mutation were known not to develop sickle cell anemia, leading rather normal lives. It was discovered by Linus Pauling (two-times Nobel laureate). On the other hand, malaria is an infectious disease caused by protists (a microorganism) of the genus Plasmodium. It is transmited with a bite from an infected female Anopheles mosquito, which introduce through saliva the protists into the circulatory system. In the blood, the microorganisms travel to the liver to mature and reproduce. Now, why do we explain this two diseases together? Because extraordinarily, people with sickle cell trait has more resistance to malaria, and at the same time, does not suffer the complete anaemia disease. Production of gas carbon monoxide that protects against cerebral malaria. Excessive vacuole formation in Plasmodium when infects sickle cells. The sickle cells allow the microorganism to stay into de body for a long time, and that gives time to the immunologic system to build up a proper defense. The microorganisms cause red cells to sickle more, and those which are sickle get removed from blood circulation sooner. This is great information. I like this article.